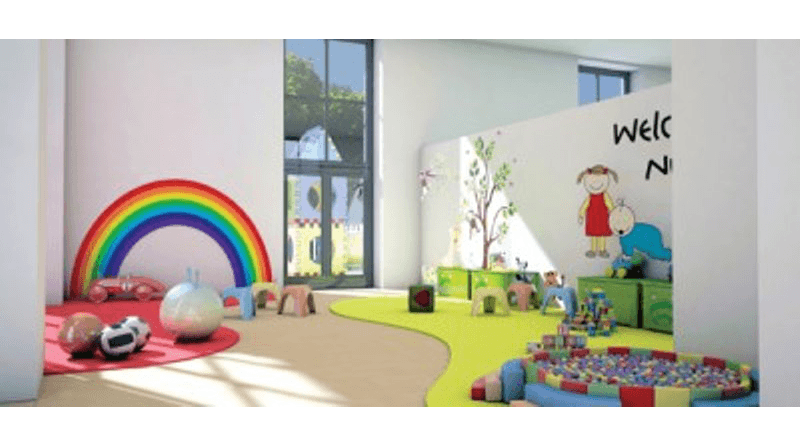 A brand new purpose-built one-of-a-kind children’s day nursery is due to open its doors on 1st November 2014 in the village of Over Peover, just outside of Knutsford. Local brothers, Michael and Andrew Irlam, have embarked on this exciting venture together after identifying the need for a high-quality childcare setting to provide for the village and surrounding vicinity. The nursery will cater for children from birth to the age of 5. The building is a complete conversion of an old disused farm building which is surrounded by ample landscaping; providing the perfect location for a sizable nursery and space to create an impressive outdoor area. The children will also have access to a natural woodland area and a petting zoo with different animal friends coming to visit on a daily basis. Andrew, together with brother Michael, have been local to Over Peover since they were born. They have appointed Becky Bugg to be the Nursery Manager of Kids’ Country. Becky is a fully qualified and experienced Nursery Manager and has worked with children for over a decade. The construction work is currently underway and behind the scenes, the team are making big plans for the learning environments including the outdoor space. For more information you can email becky@kidscountry.co.uk or visit www.kidscountry.co.uk to find out more. Congratulations to Andrew and Michael Irlam; I wish them good luck with their exciting new venture. I endorse their ethos and approach to child care as high quality learning experiences are extremely important in the Early Years. The environment plays a huge part in that; regulating emotional and physical health, fuelling imagination and generating a thirst for knowledge. As someone that has invested a great deal of time, effort and money developing a similar facility, I appreciate that it takes a real passion and commitment to aim for the highest quality child care; but it’s no less than children deserve. This is not the first nursery to be located on a farm. I opened my nursery in 1990. The children have access to ten acres of garden, orchard, woodland and fields. They look after animals (pet and domesticated) and fowl – they observe their habits, learn how to respect them, feed, clean them out, repair and paint their pens. Build dens, fire pits, climb trees etc. Learn how to problem solve, assess risks, work together as a team and about the cycles and rhythms of the natural world. We hold a sheep shearing morning once a year. We have won many awards for our work. We would be very happy to share our knowledge with Michael, Andrew and Becky.